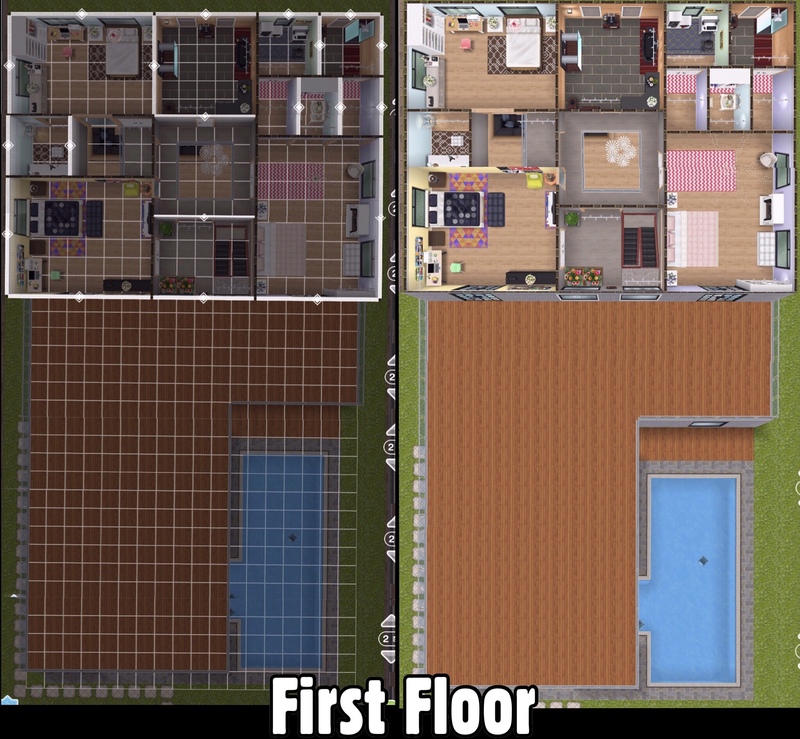 On this page you will find my house designs, each design contains pictures of each room as well as the view from above and the grid view so you can rebuild these houses on your own game. This house used to be the player designed house but I edited it into a spacious two story house with plenty of balconies and room for the little ones to play! My gingerbread house is a 2 story house with two bedrooms and a swimming pool, built using the gingerbread themed items from a Christmas Quest a few years ago, these items have since been available in the Chocolatier Special Event so when that event returns you can unlock the gingerbread items if you haven’t already. I created this one story house in an hour on a Twitch live stream for one of my senior sims who lives alone, the house is fairly simple but bright, a lot of the items included in this house are from the French Romance Live Event. 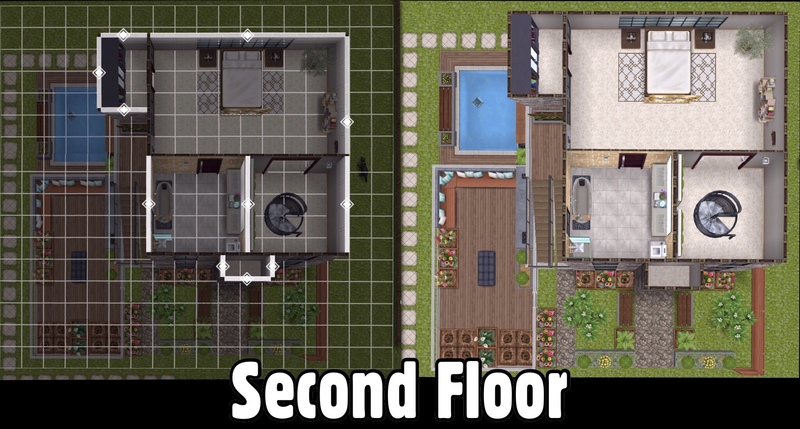 This is another premade house template that I have customised, this time I have created a two bedroom house for my two teenage sims using the pro skater’s dream pad which originally only had one bedroom. I created this house to celebrate 5 years of this blog! 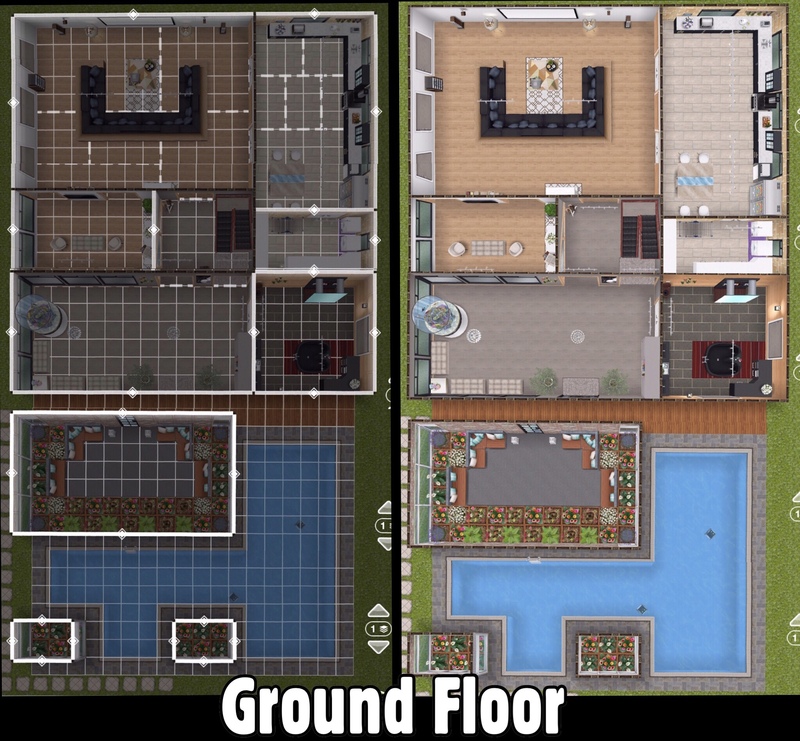 My challenge was to create a house costing 5 million simoleons so I created this large two story, 3 bedroom house with a huge balcony and shaped pool! 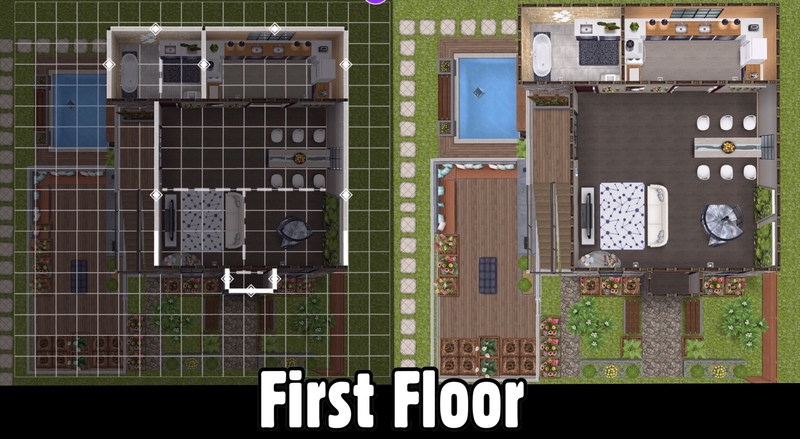 I really wanted to build a house that my sims could access from the second story rather than the ground floor but without the ability to change the terrain this is the only way I could do it! This is a one bedroom house and the ground floor is an extension of the garden (just so it wasn’t left empty) but the entrance to the house is on the first floor. I created this 4 bedroom house a long time ago but I recently redecorated the whole thing to add all the new items I had unlocked. It’s called quirky corners just because its an odd shape! You can only access part of the upstairs from one set of stairs and the other half from the other set of stairs unless you walk across the balcony. 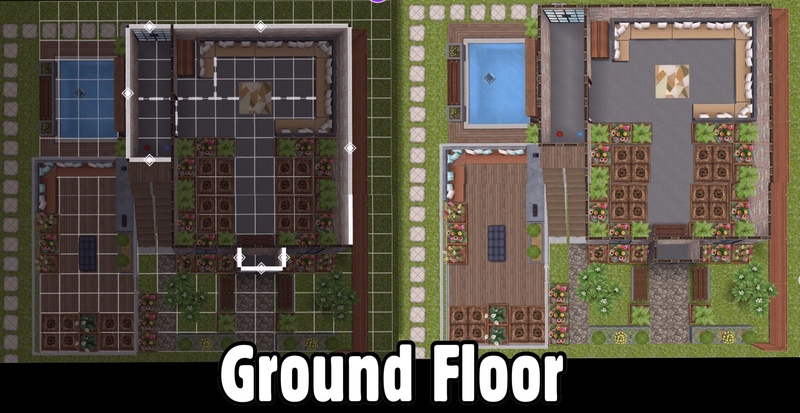 More house designs will be added soon!